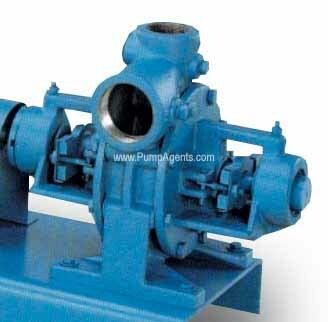 Aurora catalog # HX4-121B-BF, Turbine Pump End Only. Cast Iron body, and Bronze impeller. Seal: Packing type Shaft Seal with Graphited Teflon Fiber Packing. Ports are : 2 Inch NPT Inlet Port, 1-1/2 Inch NPT Discharge Port.